Baby: 7 weeks old! 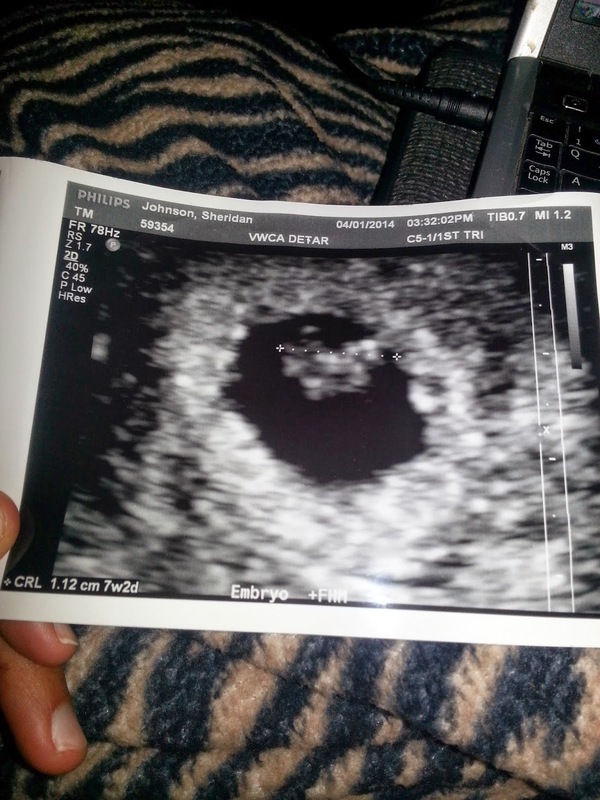 Baby is the size of a blueberry (.25 inches long) and is actually measuring 7 weeks and 2 days, so cute!! The heartbeat is 133 bpm and sounding great! It was so cute on the sonogram just seeing the little blurred area knowing that in just 9 months he or she will be a FULL size baby! Can’t wait! 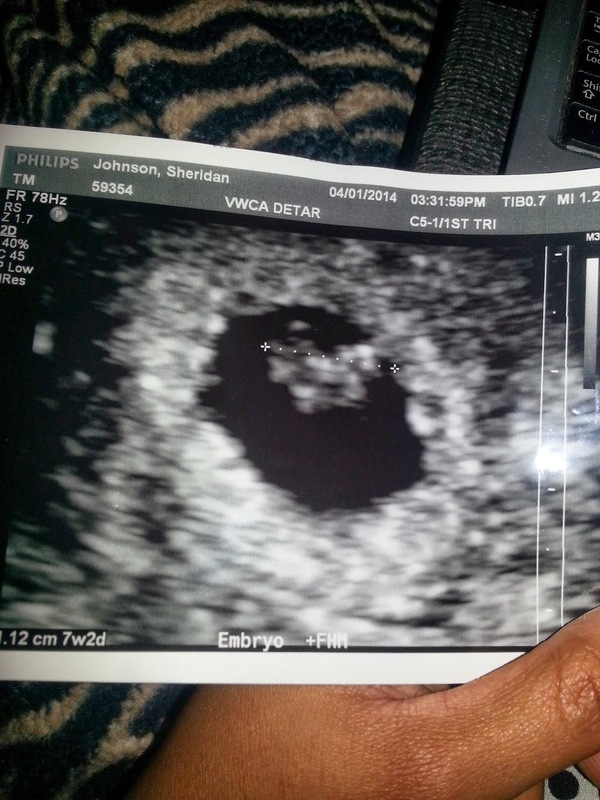 Our due date is 11/17/2014! Mommy: Not been feeling too good at all, a LOT of nausea (first time ever), no vomiting, a lot of dizziness and memory loss! I even forgot about my personal training session this morning! I have had to buy a little mini planner so I can write down all the important dates and appointments coming up. My workouts have decreased to 2 times a week, I just don’t feel like I have enough energy to get up there and get a good workout in but I intend to keep going at least 2-3 times a week if I can! Daddy: He has been over this world excited about this pregnancy and having another little baby. He has helped so much with Brielle, and cooking dinner so that I can rest and relax as much as I can. He is definitely realizing though that we have to cherish all these moments with Brielle being the only child right now for these next few months and prepare her as best as he can for being a big sister! Cravings: I craved nutter butters for the first 3 weeks, now I really wouldn’t say I am craving anything but I don’t eat something small every 4 hours I start feeling really nauseated. This should be interesting with quite a few 12 hour shifts coming up in the next couple of weeks! Brielle: She has been saying baby for all of her baby pictures, and she gets SOO excited to see another baby in person. The hilarious this is when I try and hold my nephew or another baby and she is like “wait, hold up you are my mommy!” I just have to work with her a lot in these upcoming months on sharing my attention since she has never had to. I seriously cannot wait to see this baby grow, my belly grow, and grow so much in this family of ours!